※Like a pure mirror, I adopt a convex mirror. I adopt new safety standard size, shock reliever after 2007. 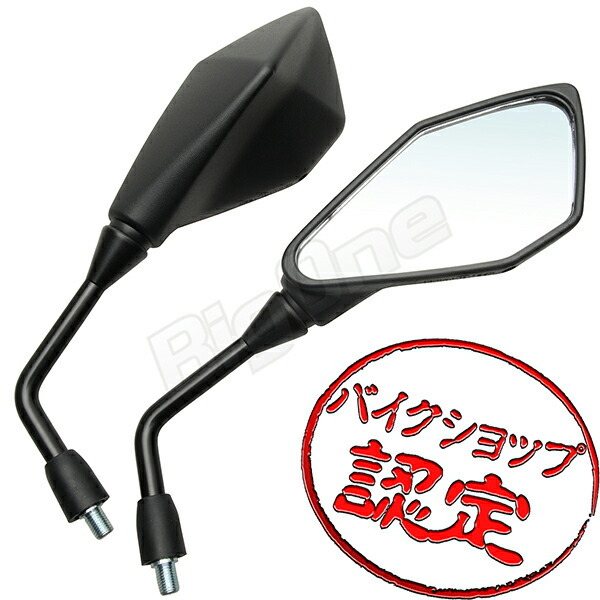 ※Even the vehicle except the Yamaha may use a reverse screw. I would like confirmation before an order. When there is the interference with the brakes master, please cope with adapters. ※Please buy it than an order screen as needed. ※I cannot accept the order from a request column. Attachment means |A person with the maintenance knowledge, please perform the work. It becomes the simple work now as it is a mirror and the exchange of the errand. The basic work tightens a nut and only loosens it, but the confidence which there is not, please depend on installation to a motorcycle shop nearby as I am attached in visitors and am out of the guarantee when a product is damaged. As it is a Pan-article, it supports many car models. There is installation bolt size on the body side with 8mm, 10mm in the car model of mention. I would like confirmation of the bolt size once again before having you order it.